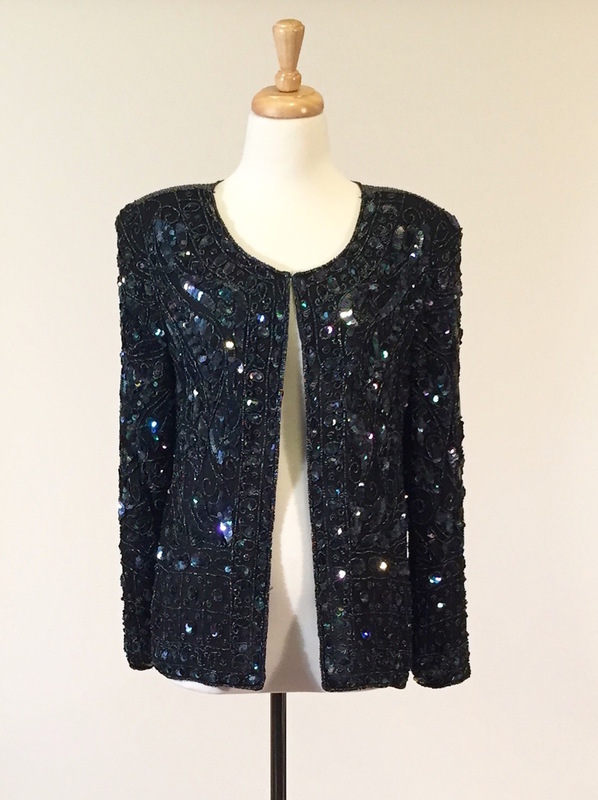 Please scroll down to see images of the Mame Dennis Sequin and Beaded Cardi in greater detail. We invite you to visit the link directly below, as well. Inspired by: Auntie Mame (1958). Materials: Silk, sequin, plastic beading. Colors: Black silk cardigan with iridescent, pavonine beads and sequin in moss, cobalt, gold, and copper tones. Closure: Hidden hook-and-eye closures along the center front. Label: Jean for Joseph le Bon. 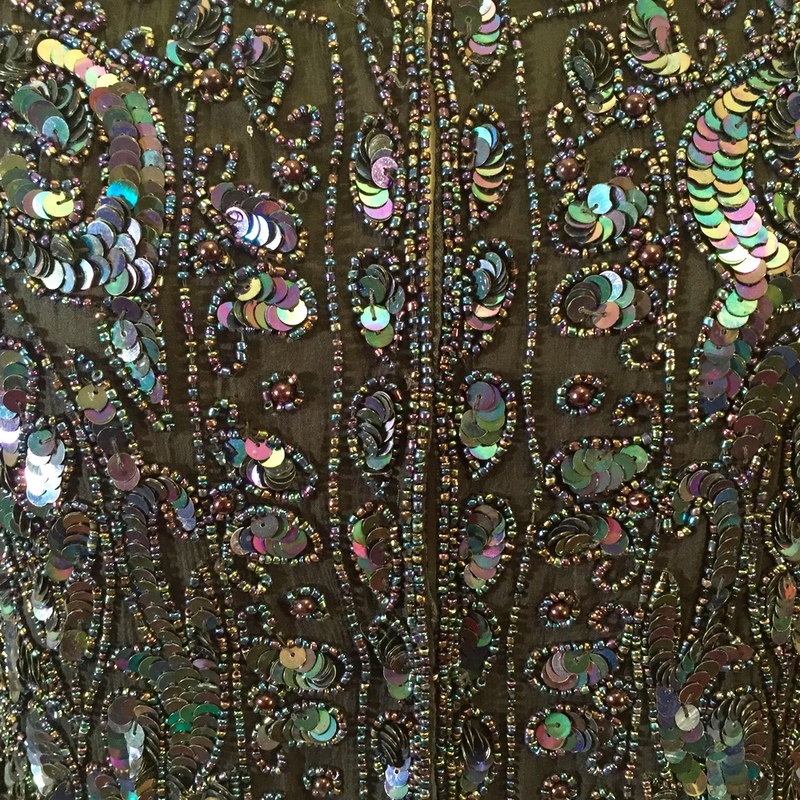 For the amount of beading and sequin detail, this piece is in incredible shape! There is no loose thread or missing beads and sequin, however there are less than 10 individual sequin that are not perfectly round. There are also less than 5 areas where thread is visible. Please note, the cardigan weighs nearly 2 pounds, so while it's not ideal for very cold weather in terms of warmth, it's probably best suited for events in a somewhat cooler climate. Contains sewn-in shoulder pads and armpit protectors (which don't have a speck on them). Front close-up. Uppermost hook-and-eye closure only hooked. Front close-up. All hook-and-eye closures hooked. Front beading at closure detail. Front, beading and sequin detail. Armpit protector, which is visible on the inside only, both right and left sides. Linings are in near mint condition. Label, inside the center of the collar. Lower back detail. Notice the bead hanging slightly low.